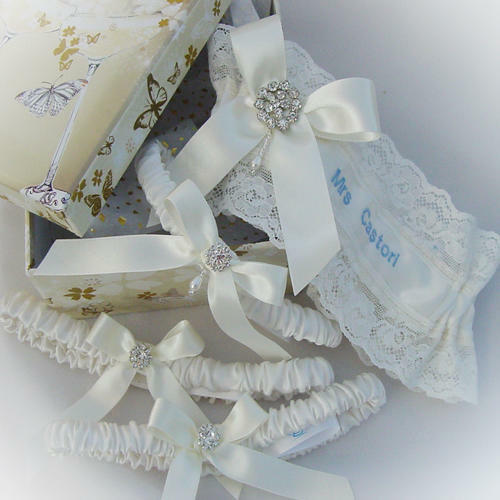 Use the dropdown boxes to put in the price of the main garter you have chosen. 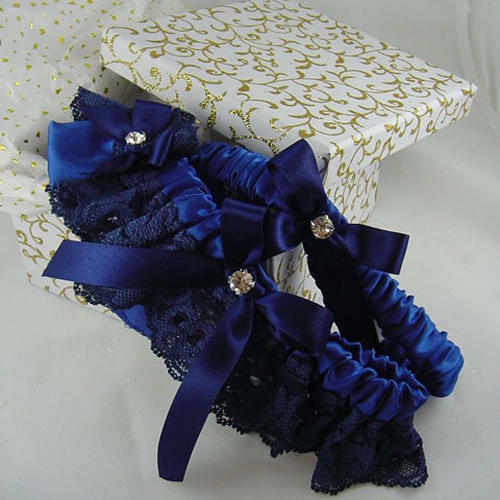 Note: Adding a garter to toss can delay your order's dispatch time by a week. 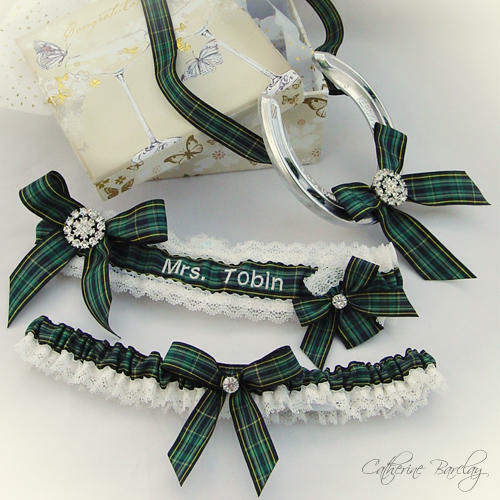 Sorry, matching toss garters cannot be made to go with sale garters as the fabrics have usually finished. 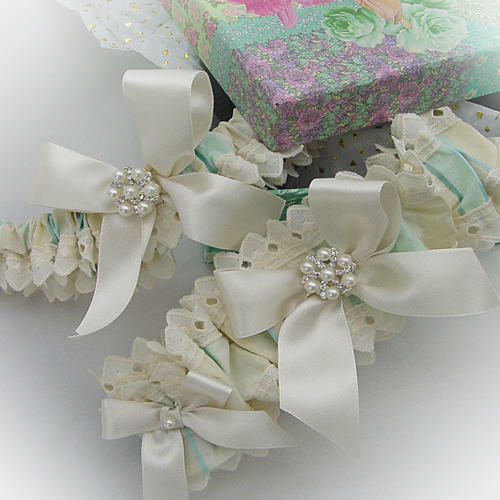 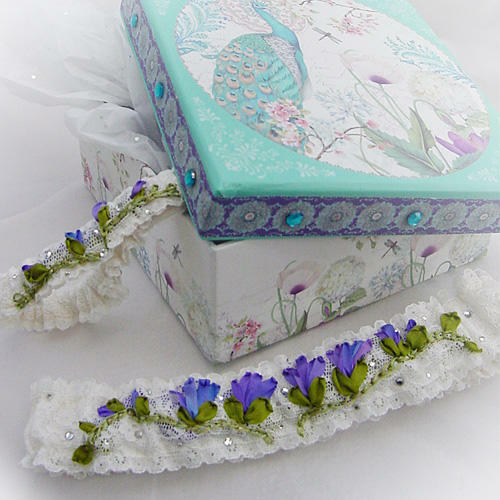 Main picture shows the 'silk lace ruffle' garter and a matching garter to toss.